A new proposal called TRF for its acronym in English that describe a restricted diet over time is being very striking in the eyes of everyone, because what matters is when you eat and not what or how much food you eat. What is the strategy TRF or restricted in time? As the name implies, the TRF strategy proposes eating during a certain period of time, specifically 12 hours or as little as possible. 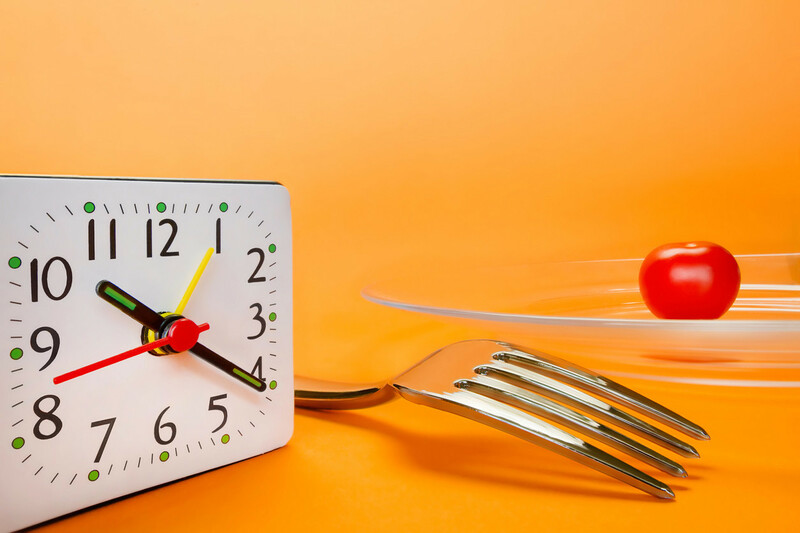 During this time, an unlimited intake is allowed, because the important thing is not what or how much we eat, but rather in a limited period of time , leaving at least 12 hours of fasting every day. The only thing that is possible to ingest after the intake window of 12 hours or less are liquid without calories like some infusions and water, leaving without any energy or food that requires digestion to the organism . The TRF strategy is a type of intermittent fasting that has been studied and today is shown as an alternative with many benefits for the body. As a type of intermittent fasting, the TRF strategy that limits food intake to 12 or fewer hours per day offers different benefits , including improvements in lipid profile and reduction of cardiovascular risk factors , weight loss but not limit the amount of food eaten and also, longer life expectancy . Although many studies were conducted in rodents, an investigation published in the journal Cell Metabolism evaluated through a mobile application the implementation of the TRF strategy in humans. When obese people restricted their intake to 12 hours a day or less they obtained a considerable reduction of weight (4%) after 16 weeks, as well as they experienced more energy and a better quality sleep . Apparently, during fasting, the body can concentrate on tasks of great importance for its proper functioning, such as repairing structures, eliminating waste substances and others that favor health care as a whole. In this way it extends the years of life as indicated by a study carried out in San Francisco . Although the moment in which we eat can say a lot and be associated with biological rhythms or our internal clock, it is also important to pay attention to what we eat, mainly considering its quality rather than calories , as not all nutrients (beyond the energy they offer), have the same effect on our body.